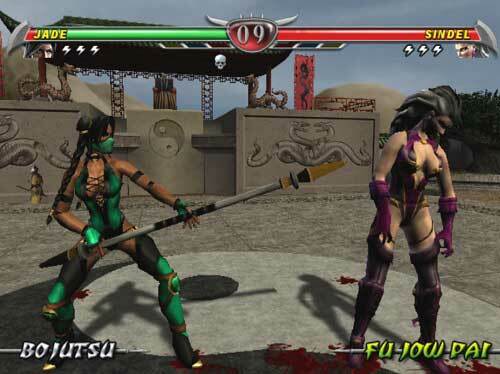 In Mortal Kombat Deception, Onaga the Dragon King controls the will of Princess Kitana and uses her to imprison her powerful mother, Queen Sindel since he knew that she would not attack her own daughter. 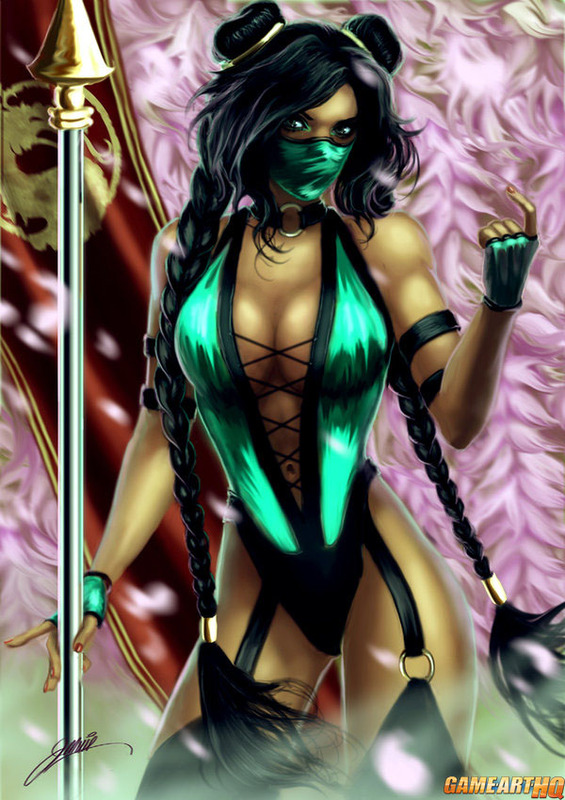 Jade, the former bodyguard of Kitana fought her and managed it to imprison her and rescue Queen Sindel. Before both could flee to Outworld through a portal she caught a last glimpse at Onaga and saw her (former) friend Tanya at his side. 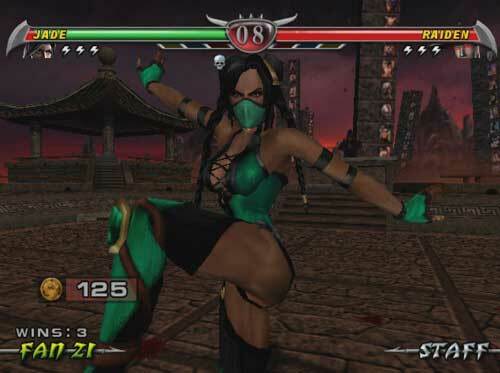 While her standard design in MK Deception was something new in general, her alternate costume used more elements from her classic Ultimate Mortal Kombat 3 appearance. Jodie Muir from the UK draw this illustration of Jade in her alternate Mortal Kombat Deception design for our Mortal Kombat Tribute.